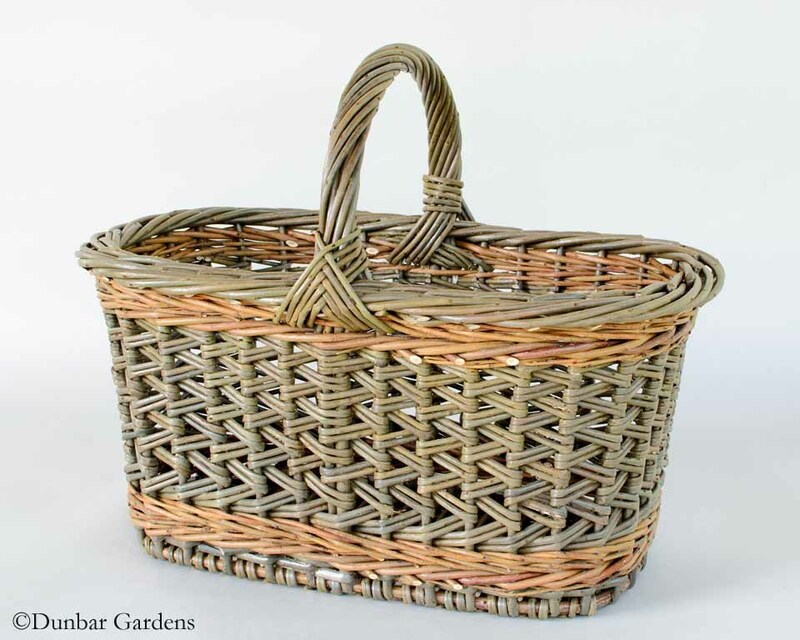 One morning in November we received an email from Martha Stewart Weddings magazine. 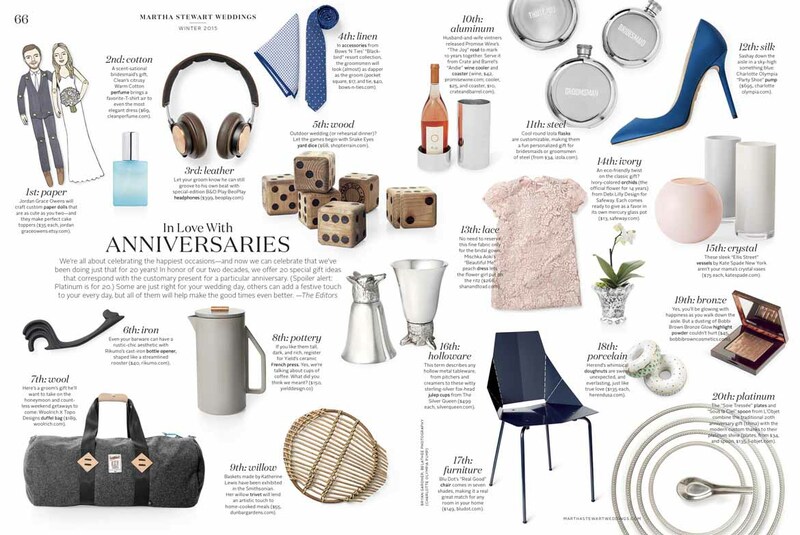 Since it was the 20th anniversary of the magazine, the style editors were creating a photo montage of anniversary gifts for the Winter 2015 issue. 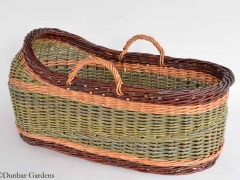 They wanted an image of a Katherine Lewis willow basket for the 9th anniversary gift of willow. Of course their deadline was the next day! 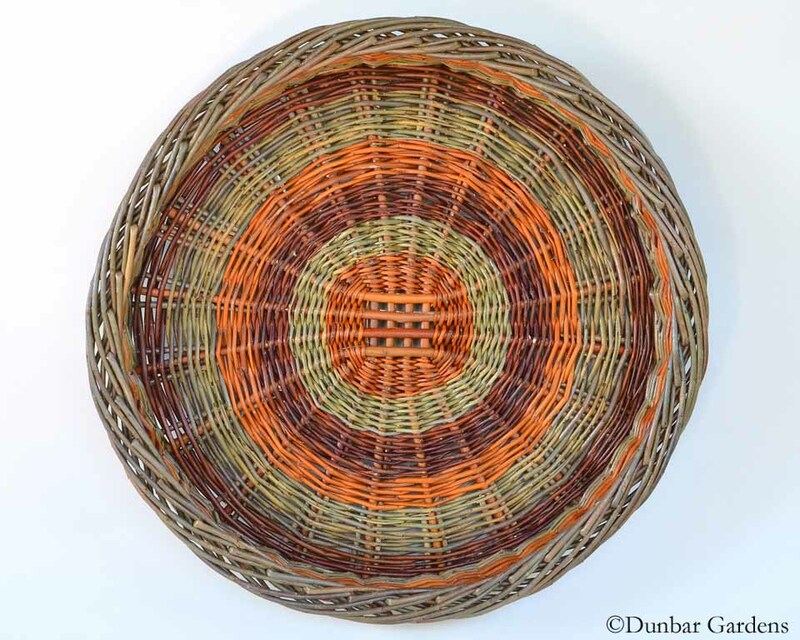 They had pulled some photos of fruit baskets and trivets off our website as examples. What they needed were high resolution images. 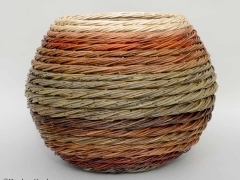 I started browsing photos, picking out possibilities and adding them to a dropbox folder. 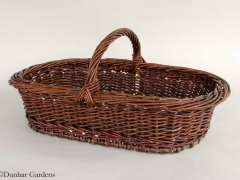 I picked out some additional baskets that might make good ninth anniversary gifts like Irish potato baskets, flower gathering basket and some lovely arm baskets. The magazine’s art team gave me a thumbs down on my images and wanted to shoot them in-house. Well by now it was close to 5 in New York, and a little late for the assistant style editor to get approval for giving me access to their shipping account. We were easily persuaded to overnight ship at our expense and invoice them later for the cost. Didn’t want to miss out on the opportunity! 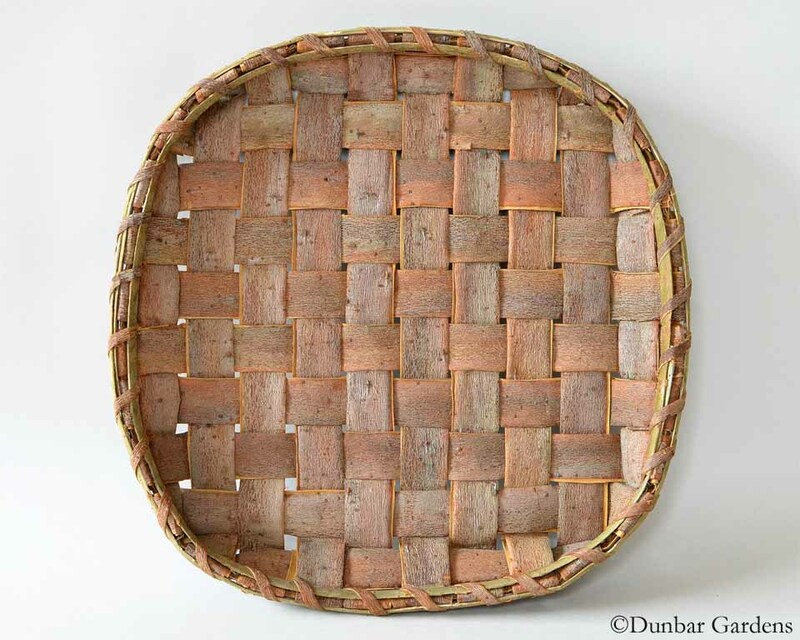 We packed up a couple of Irish skibs and a couple of trivets that Colleen requested. We took a big gulp when we saw the express overnight shipping price to New York. But hey, ‘Martha’ will be good for it later, right? 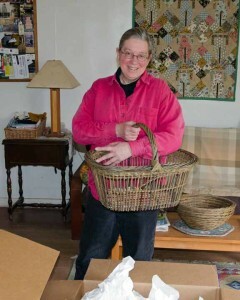 So the baskets arrived the next morning and were photographed by the magazine’s pros. 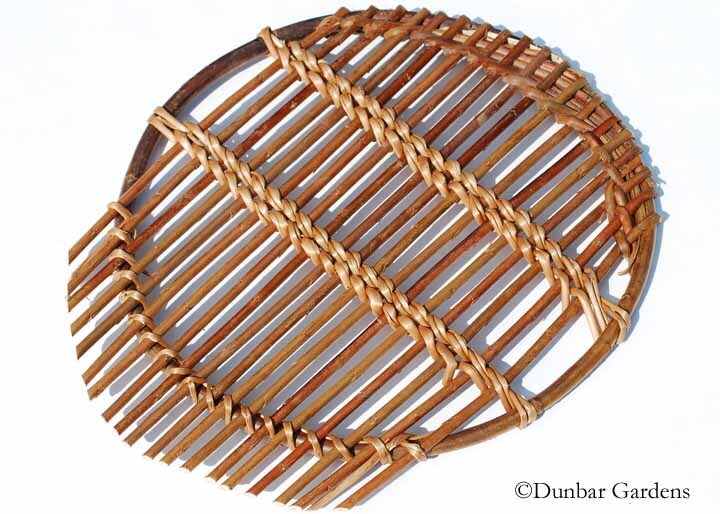 Details confirmed in the afternoon and a Katherine Lewis willow trivet was in the photo spread. 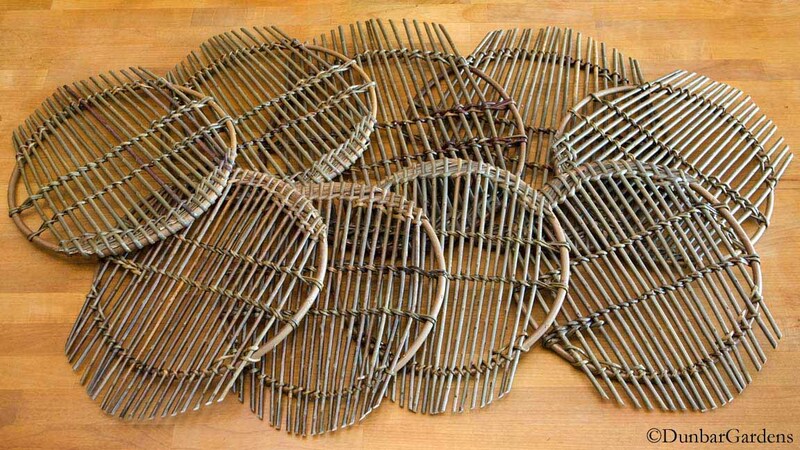 “Will they be available for sale starting December 22?” Katherine made plans to weave some trivets! 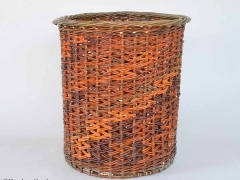 The magazine was released at the end of December, and they eventually posted an on-line gallery of the 20 gifts. How fun! 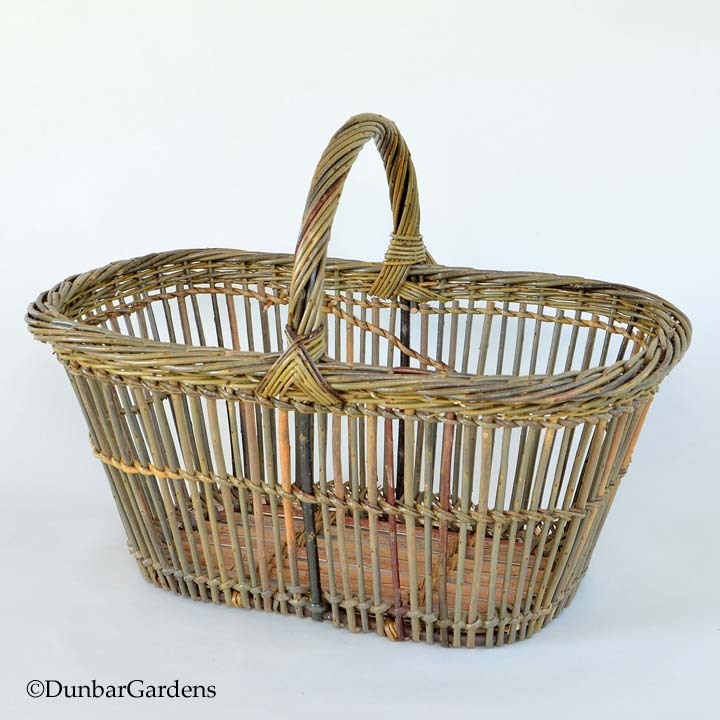 When we shared the link to our Dunbar Gardens Facebook page, people were quick to comment that we were going to get slammed with orders. What orders? 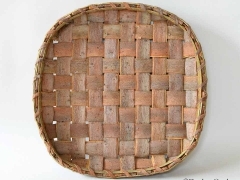 No rush for trivets so far. 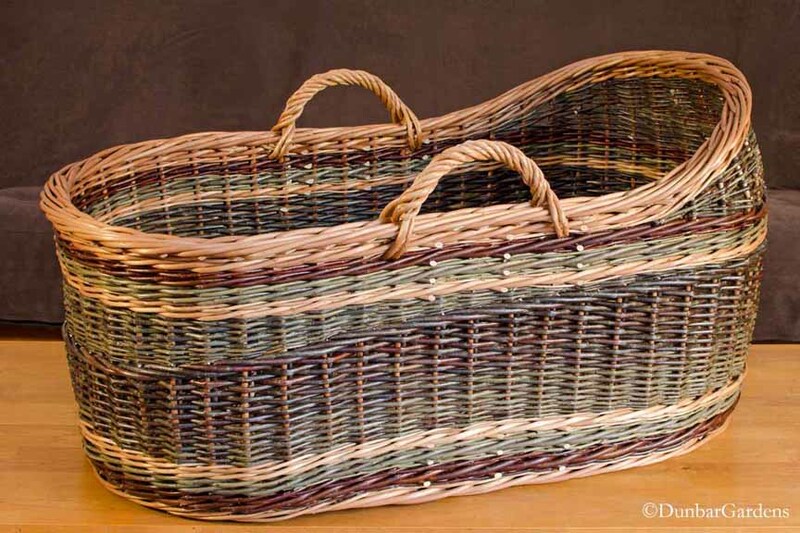 We have had many 9th anniversary gift buyers over the years. 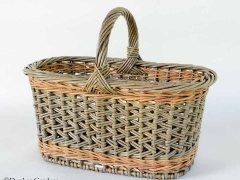 However most of them have been men buying something willow for women, or occasionally another man. So we had to ponder how many men are looking at Martha Stewart Weddings magazine? Probably not enough! 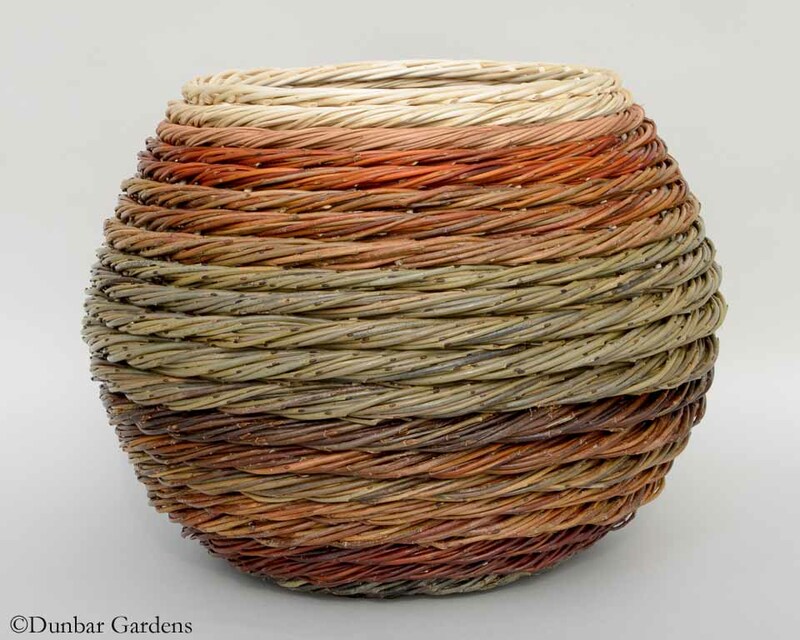 Thanks to Colleen Banks and Martha Stewart Weddings! 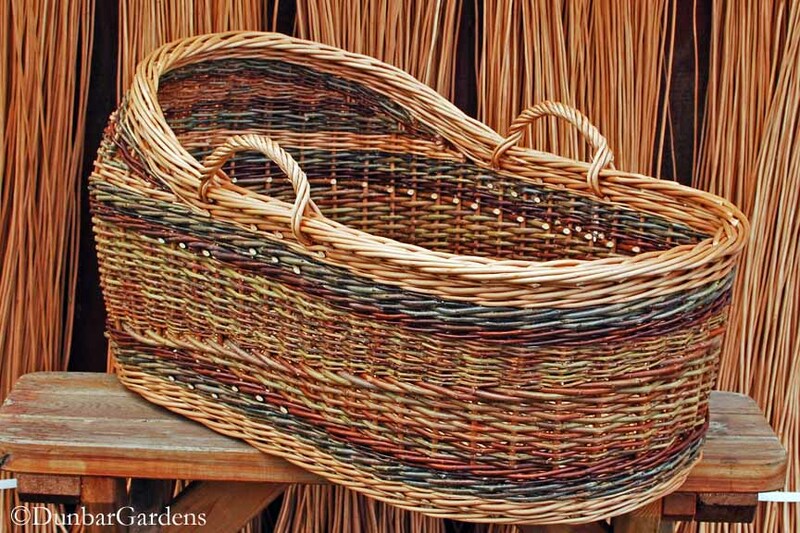 You can view more suggestions for willow baskets to gift on the ninth anniversary here on one of our Pinterest boards. 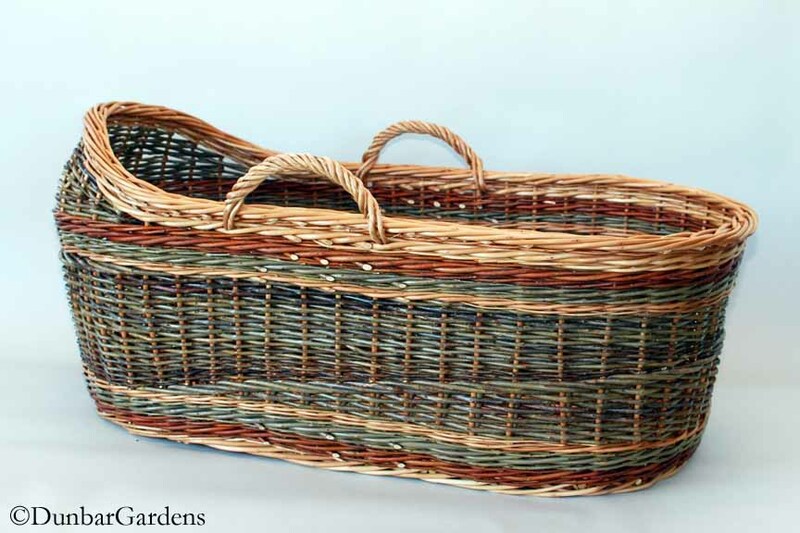 We recently had to prepare ten images of Katherine Lewis willow baskets for an application. 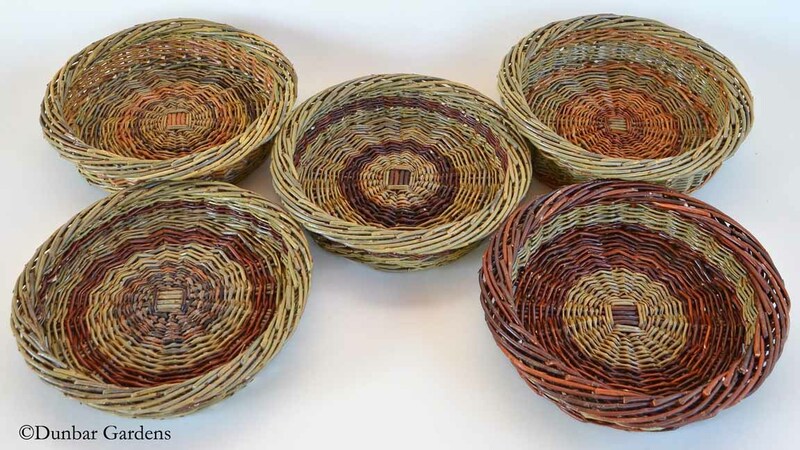 It’s always a challenge to distill her work down to just ten baskets. Limiting work to the past three years actually gives a needed structure to the search. 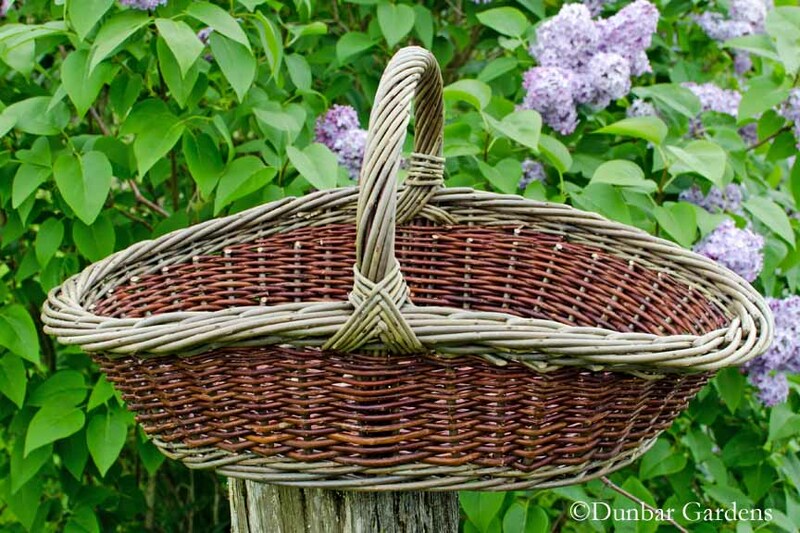 Of course, we always find that outstanding willow basket made for a customer that wasn’t photographed with a neutral background. However the real problem is paring it down to something that shows her diverse skills but still seems cohesive. 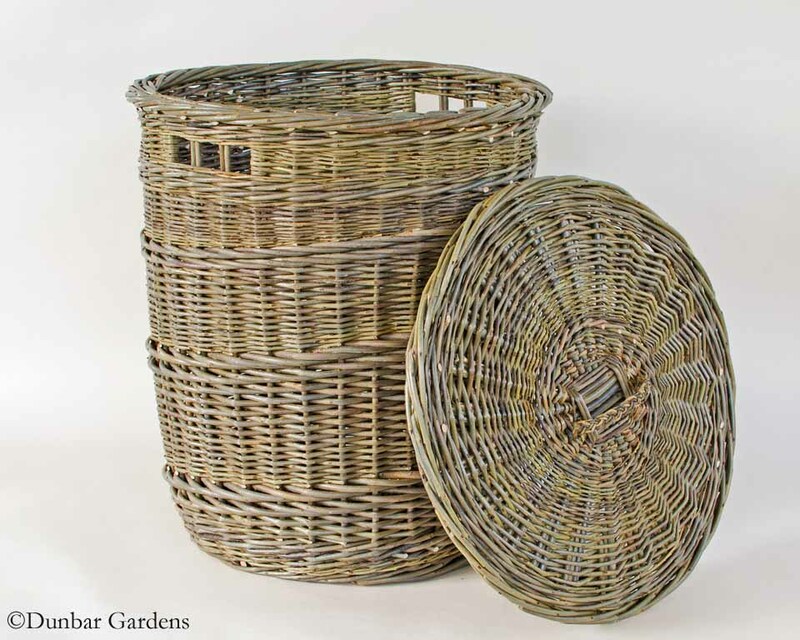 Here are the ten baskets Steve collated to showcase Katherine’s skills as a traditional willow basket maker. 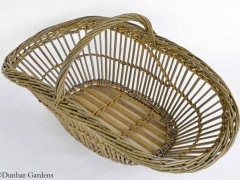 Click on a thumbnail to view a larger image, click on the arrows to view the next images. 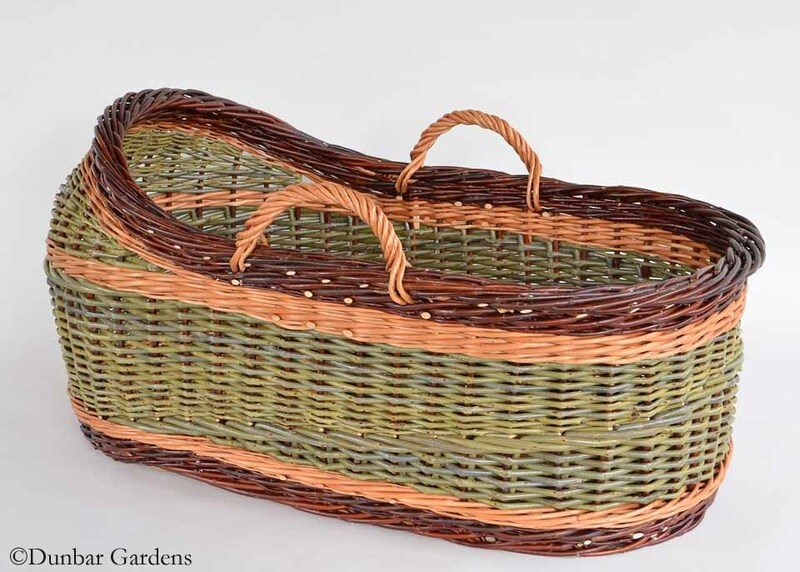 One of the more impressive willow baskets that Katherine weaves is the bassinet. 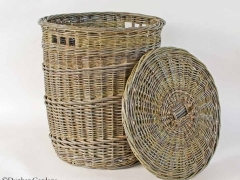 These are sometimes called Moses baskets. 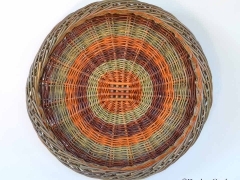 There is real satisfaction in weaving a basket that will hold someone’s child and become an integral part of their family life. Here are a few images of some willow bassinets made by Katherine Lewis. 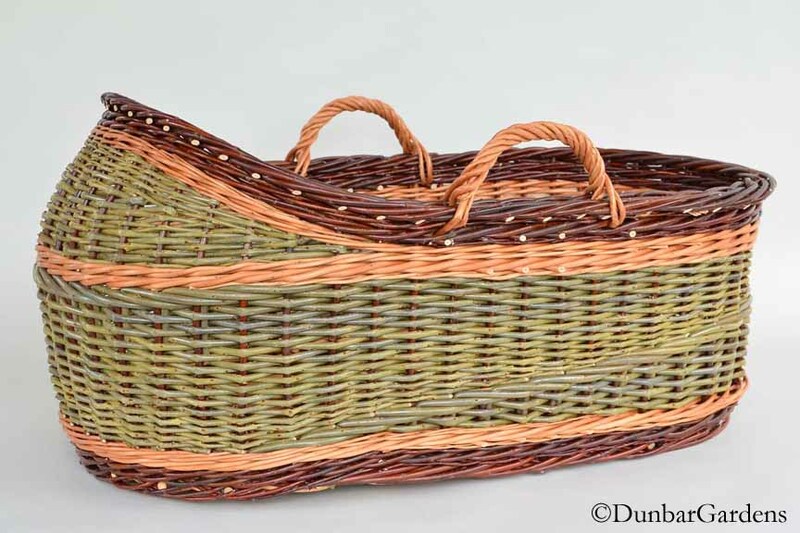 When Nicholas Bell asked Katherine to donate the use of one of her willow baskets for a hands on gallery at the exhibition “A Measure of the Earth: The Cole-Ware Collection of American Baskets”, she was happy to participate. 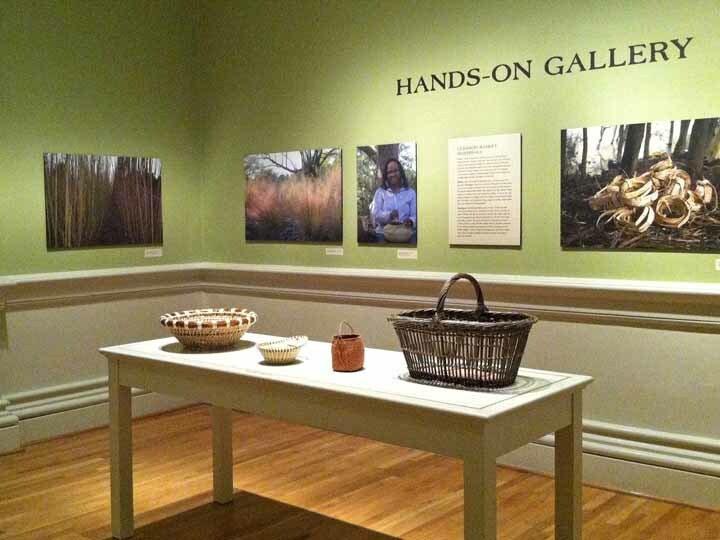 Katherine took the photo above when she visited the museum back in November, 2013, and you can see Katherine’s basket on the far right. 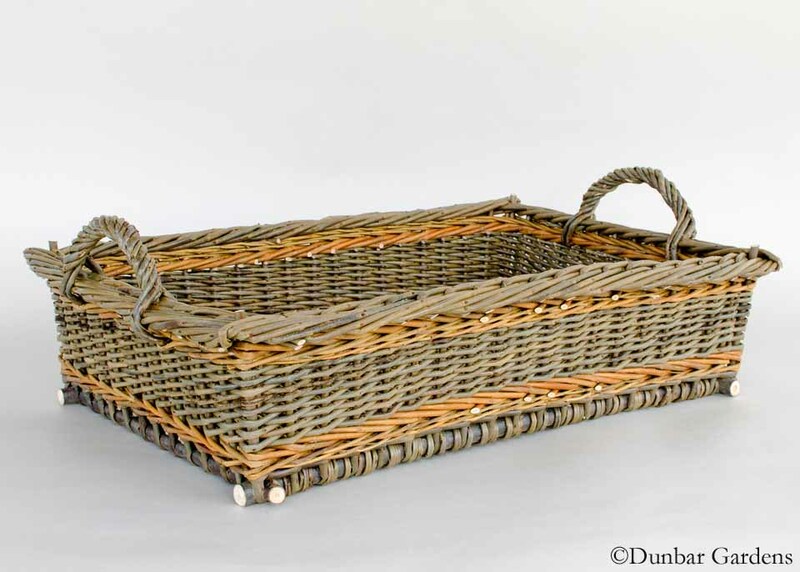 It’s a well made panier à jour with slat willow base, one of Katherine’s ‘signature’ baskets. 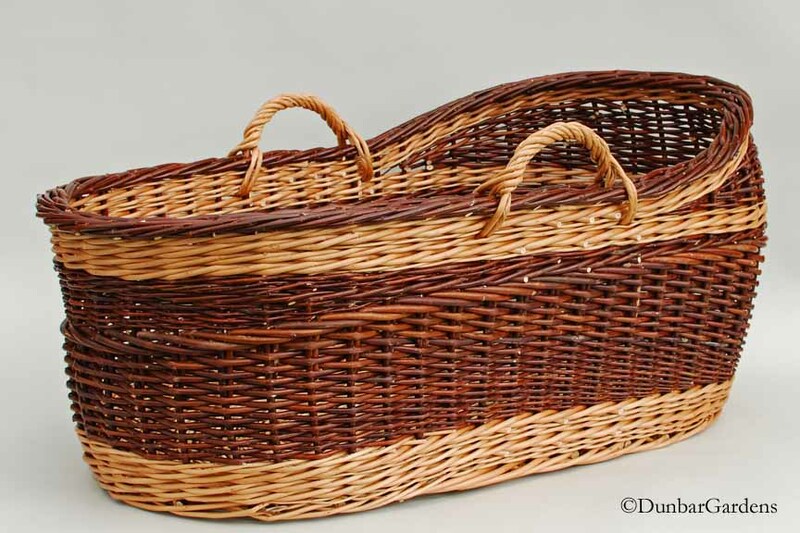 It was one of eight baskets displayed in this area where museum visitors had the opportunity to pick up the baskets and examine them. 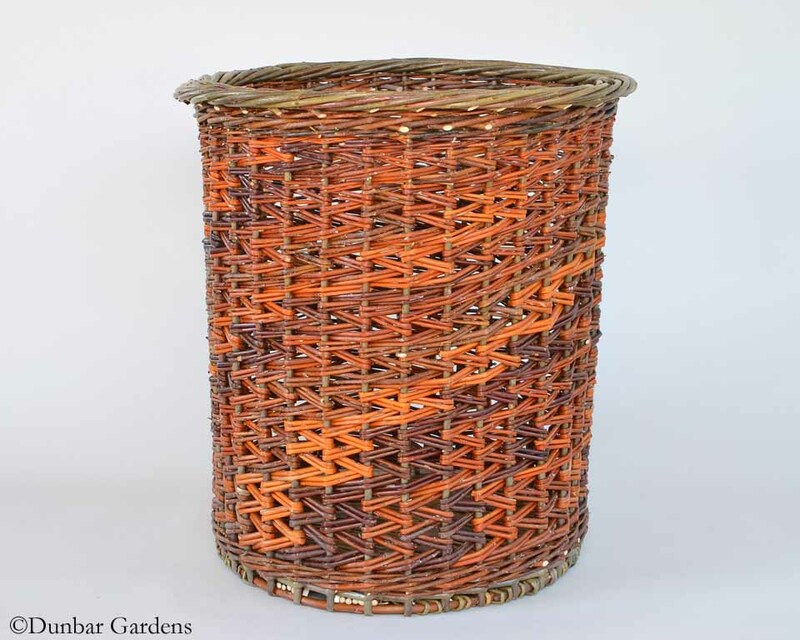 Since the public would be handling the basket, the Renwick Gallery would not insure its value or final condition. It was an understandable and reasonable risk to take for the opportunity to present Katherine’s work to the many visitors. 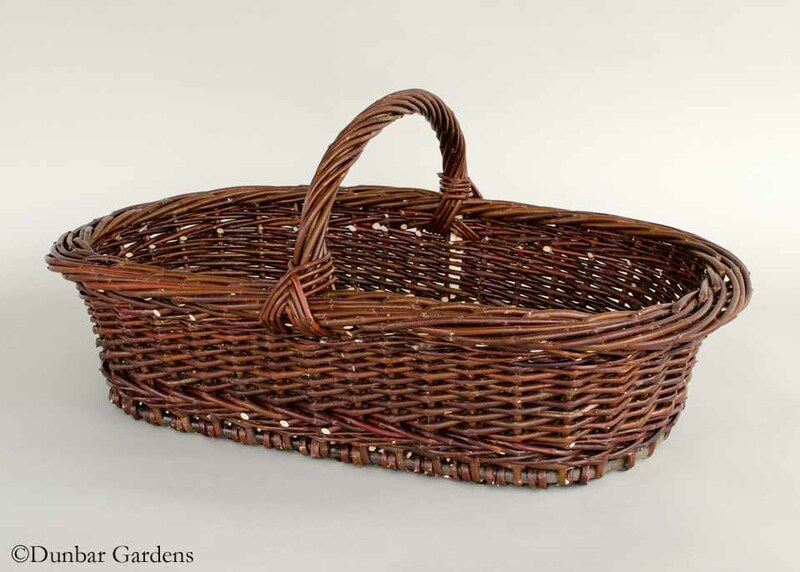 The Smithsonian did agree to return the basket after the exhibition closed on December 8, 2013.